The first key to creating healthy communication is to notice your patterns and change them. As I mentioned in the article “Defensiveness: The Roadblock to Communication,” relationships are like a baby mobile: each move impacts the other. Each couple has built a unique dynamic of communication that both play a part in — know that you have the power to change that dynamic. Secondly, don’t lose your temper! Slow down and breathe. Your frustration when you partner is acting defensively will show and just add more fuel to the fire. Put down that pitchfork and stay focused on the feelings of hurt underneath it all. Start the conversation with vulnerability, and take some responsibility. For example, “I always felt as if I didn’t matter as a child. I was never seen. Now, when I talk and the TV is on, I feel like I am invisible again. You probably don’t mean to send me that message at all. I know how much you like your show. But it actually hurts and brings me back to that place of being a kid again.” Your partner may not know why you are hurt by something they are doing or have done, especially if the base of this hurt is from an outside factor like childhood. They can’t read your mind, try to let them in on the background of the hurt in a calm conversation, and be open to listening. Open on a positive note by showing appreciation for what the other person has done. If they don’t feel like their good efforts are acknowledged and only hear about how they messed up again, they will feel defeated. Remember also to balance any negative comments with positive reinforcement and praise. You’re in this relationship for a reason, and it’s good to reinforce the love you feel for the other person. Try to sandwich the negative between a positive and an alternative: “I really appreciate you calling me when you were going to be late, but it upset me that you waited until the last minute to let me know and I felt unappreciated. 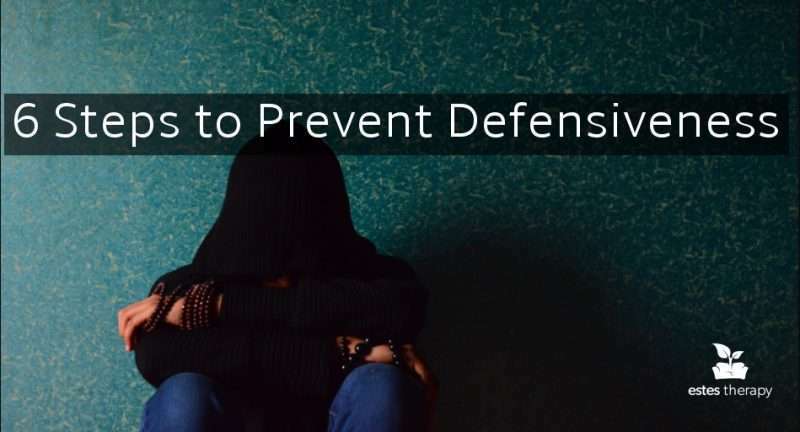 Next time, if you could let me know as soon as something comes up so I feel more prepared I would appreciate it.” This way you are not attacking your partner and you are giving them an alternative that they know would help make you feel valued. Most importantly, give your partner the benefit of the doubt and consider their side of the situation. Listen and breathe, think before you respond. If your partner does respond defensively, try to understand what is underneath the reaction. Ask meaningful questions about how he/she is feeling and be sincerely curious around their response. Deep down, it might be them feeling as if they are not good enough and they need your compassion.